The best way to explore the Prague’s historical center is on foot as vehicles are not allowed in most areas. Nevertheless, if you have walking difficulties we will tailor a driving tour for you as well. 5 Stars on TripAdvisor: Best quality for reasonable prices. 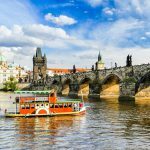 One of the oldest private tour companies in the Czech Republic, Private Prague Guide has been providing customized tours since 1993. 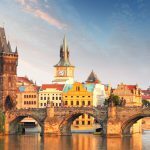 This tour is the best way to start your unforgettable Prague adventure. It will give you an excellent overview of the whole city, so you can decide what to visit on your own during the following days. Did you know that Prague is the only European city which kept its unique Jewish heritage during WWII? 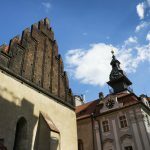 Explore one of the biggest Jewish sights in the world and learn more about Franz Kafka and the legendary Golem. The Highlights of Prague Tour will give you a basic overview of the most significant sights in Prague on both riverbanks just in 4 hours. Explore the biggest "museum of architecture under the open sky". 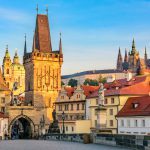 Are you staying in Prague just overnight, are you on a honeymoon or do you just want to learn Prague from a different perspective?